After a what-seems-like-a-world-war-three ruckus with the peeps of Tiger Airways that eventually cancelled our Davao-Subic-Bataan trip, which I don’t want to elaborate anymore as it’ll add another crease in my forehead, we decided to do a road trip instead. Mindanao is quiet a big island and we cannot round it all in just a weekend. So we chose to hit the road along the eastern seaboard of Mindanao, that is Davao City to San Agustin in Surigao del Sur and back. 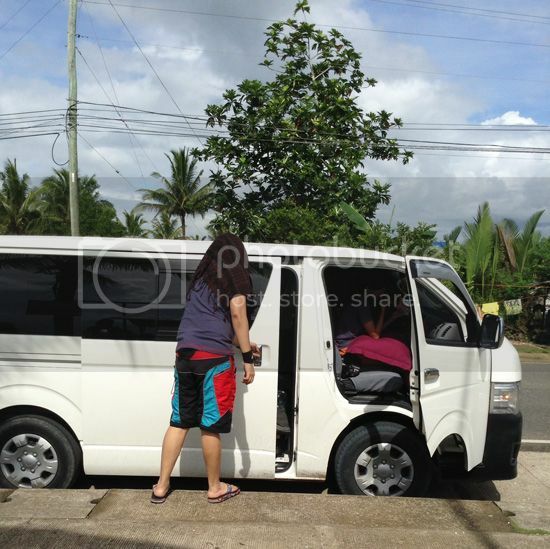 Since we’re bringing kids with us + the lolo and the lola, hiring a van is the most convenient transpo for long road travels with seniors and minors onboard. We hired Ging Tenejeros, she’s a lady driver who happened to also own the van. She has been to the places I’ve included in our itinerary countless times and have memorized the curves and the bends of the road like the back of her hand. You can contact her on this number 0932.490.5343 if you need van service in and outside of Davao City. Rates are always negotiable depending on your charms, lol. 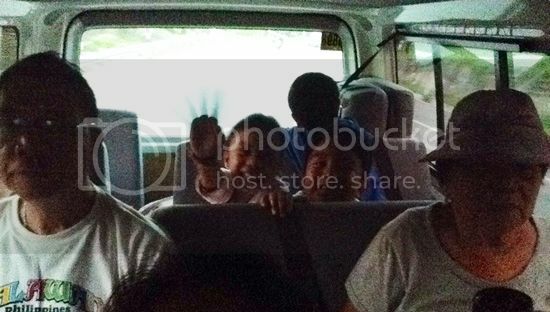 We left Davao City around 4AM, Saturday. 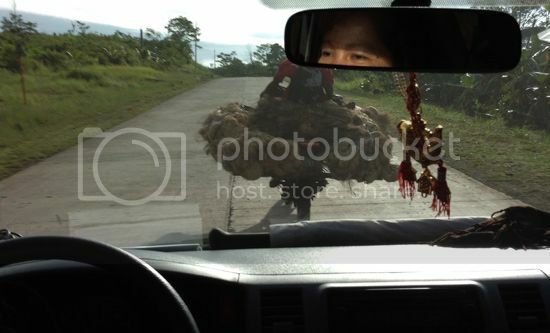 We took the Cuevas route shortly after reaching Trento, Agusan del Sur. Ging said this will cut our travel time by three hours. Some portions of the road and several bridges were destroyed during the Typhoon Pablo but it’s now undergoing repair, hence, patches and stock piles are on the side roads. It didn’t rain the night before so the uncemented parts were dry giving us smooth passage. Skylab carrying local produce. An upshot of true Filipino ingenuity. It’s a mode of transportation in this area that isn’t a sight in the city. I have curious rascals onboard so I have lots of explaining to do. and learn other’s way of life. 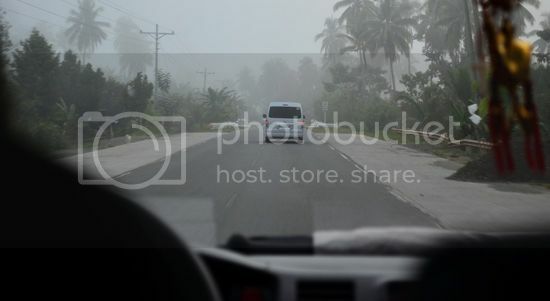 We reach Bislig City around 8AM. Thing with bringing kids along you have to deal with whining and complaining – they’re hungry. 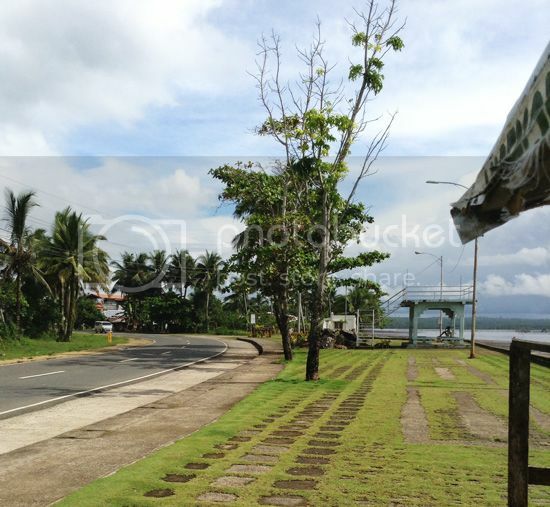 So we parked by Bislig Boulevard and had our breakfast. We packed food good for a year survival in the Amazon jungle by the way, lol. Hadlok magutman. Shortly after finding a far restroom, which I suggest, since by virtue of social norm I cannot just squat along the way, the local government or any private entity will provide a clean rest room for travellers. I don’t care if I’ll pay, people will do anything in exchange for nature relief, right? From Bislig Boulevard, we proceeded to Hinatuan to see the famed Enchanted River. Continue reading Part 2: DAVAO CITY TO ENCHANTED RIVER in HINATUAN. Like this post? Get to know more of these first, subscribe to my blog. Thank you!